Hormone Replacement Therapy (HRT) sometimes called estrogent replacement therapy or ERT, refers to a woman taking supplements of hormones such as estrogen alone or estrogen with another hormone called progesterone (progestin in its synthetic form). HRT replaces hormones that a woman’s body should be making or used to make. Early menopause increases the risk of bladder cancer for smokers - this was the finding of an interdisciplinary research group, led by urologist Mohammad Abufaraj from MedUni Vienna's Department of Urology and Division of Epidemiology and other international university hospitals, using data from 230,000 participants in the longitudinal Nurses' Health Studies I and II. Doctors are encouraging women not to be alarmed by a study linking the use of hormone replacement therapy (HRT) with a slightly increased risk of Alzheimer’s disease. Patients receiving hormone therapy as part of their gender-transition treatment had an elevated risk for cardiovascular events, including strokes, heart attacks and blood clots, according to a study published in the American Heart Association's journal Circulation. One of the largest and longest-running efforts to evaluate the potential benefits of the Mediterranean-style diet in lowering risk of stroke found that the diet may be especially protective in women over 40 regardless of menopausal status or hormone replacement therapy, according to new research in the American Heart Association's journal Stroke. In a conversation with Sarah “Fergie” Ferguson, the Duchess of York, that aired on the Oprah Winfrey Network, Dr. Prudence Hall said age isn't what determines health and vitality. This week, at the Alzheimer's Association International Conference in Chicago, a group of researchers presented reserch findings on the gender differences in Alzheimer’s causation. They speculated that women might be getting Alzheimer’s and dementia more commonly than men and the reason behind this has not been clearly understood. Estrogen or the female hormone could be the key, the researchers state. A woman's history of pregnancy may affect her risk of Alzheimer's disease decades later, according to a study published in the July 18, 2018, online issue of Neurology, the medical journal of the American Academy of Neurology. In the spring of 2017, 12,146 individuals with hypothyroidism responded to an online survey posted on a variety of websites and social media for two months by the Program Committee of the Satellite Symposium on Hypothyroidism, organized by the American Thyroid Association. 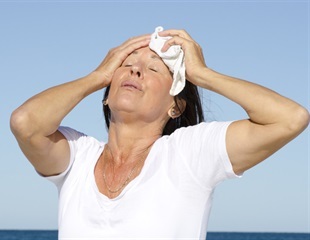 Entering menopause at a later age may be associated with a small benefit to your memory years later, according to a study published in the April 11, 2018, online issue of Neurology, the medical journal of the American Academy of Neurology. A new scientific statement issued today by the American Heart Association underscores the commonalities between cardiovascular disease and breast cancer among women, and it calls for more focus on research and specialized treatment where the diseases overlap. A recent study has indicated that women who start menstruating at the age of 11 or earlier, or enter menopause before 47 have a higher risk of heart disease and stroke. Some other factors that were associated with elevated odds of heart problems in later years were miscarriage, stillbirth, undergoing a hysterectomy, and bearing children at a young age. Treating ovariectomized mice with a combination of conjugated estrogens and the drug bazedoxifene triggers the expression of genes that improve metabolism and prevent weight gain - without stimulating the uterus and increasing risks of reproductive cancer, a new study suggests. Women who took estrogen-only hormone replacement therapy after ovary removal had a lower risk of developing glaucoma, according to research presented today at AAO 2017, the 121st Annual Meeting of the American Academy of Ophthalmology. Poor nutrition is common in patients with liver failure, or cirrhosis, and it can lead to muscle wasting, weakness, fatigue, and worse outcomes before and after patients undergo liver transplantation.